Team SHK/Scallywag is back in the water and scheduled to take the start of Leg 8 of the Volvo Ocean Race in Itajaí, Brazil on Sunday afternoon. The team had been in a race against time to have its boat prepared for racing after it was delivered to Itajaí on Thursday. But the Boatyard crew, along with team members, suppliers, and with assistance from the other teams in the race, have readied the boat for racing in near record time and early on Saturday afternoon it returned to the water. Both SHK/Scallywag and Vestas 11th Hour Racing retired from Leg 7 and had their boats sailed to Itajaí by delivery crews. After quick turnarounds, both are now ready to re-join the fleet for the 5,700 nautical mile race north to Newport, Rhode Island. It promises to be a challenging leg, with light winds in the forecast for the first days, followed by tradewind sailing leading into the final doldrums crossing of the race before the final push north to the highly anticipated Newport stopover. 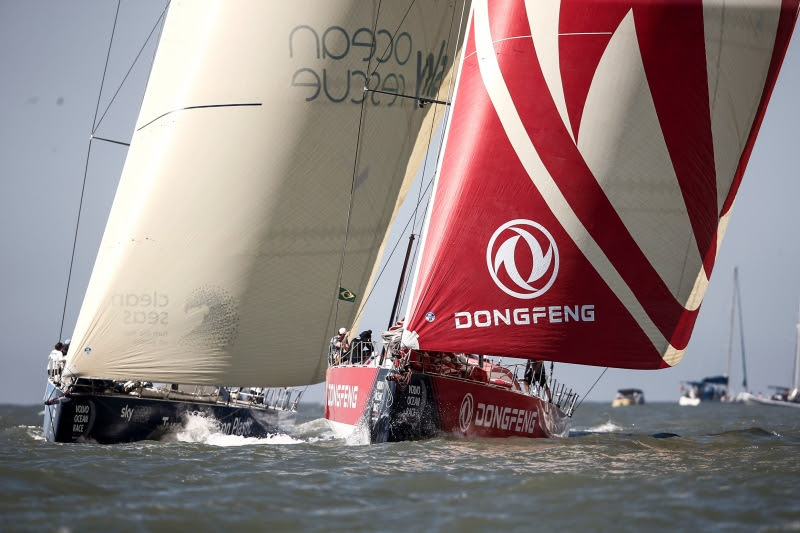 The leaderboard is tight, with a new team on top as Dongfeng Race Team take over pole position from MAPFRE by just a single point. “One point is nothing because as we have seen in the last legs, things can change very quickly and the race is far from finished,” said Dongfeng skipper Charles Caudrelier.